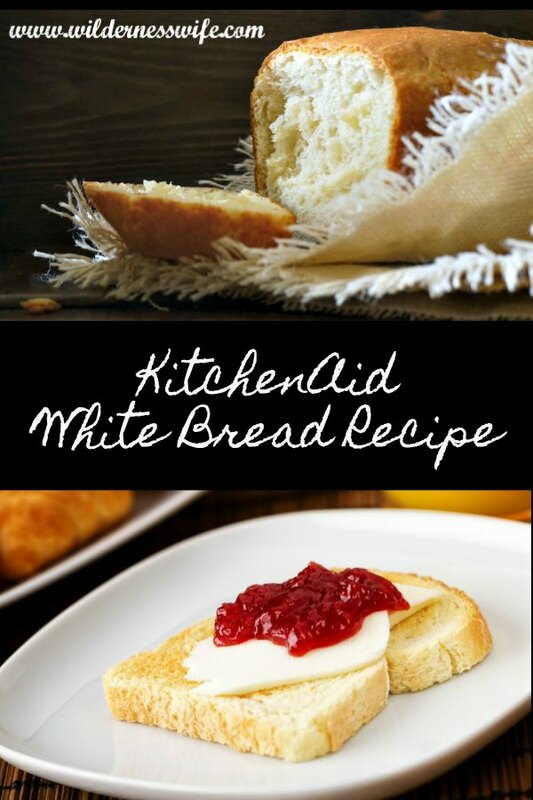 This white bread recipe is from the KitchenAid Stand Mixer Cookbook that came with my mixer back in 1987. Timeless and GOOD! Update- March 2018 – she’s still working, bless her Kitchen Aid motor! Please note that this is not a paid sponsored post but just a case of giving credit where credit is due! 27 30 years of loyal service in the working world used to get you gold watch or an embellished citation suitable for framing. Not so much in the here and now but if appliances could receive such honors, my #KitchenAid Stand Mixer deserves them. This tough little stand mixer has been my loyal kitchen companion since 1987. My son gave it to me as a Christmas present after we had just finished remodeling our kitchen. No more wimpy motorized hand mixer for this girl! Me and my KitchenAid stand mixer have seen many a Thanksgiving dinner and holiday baking marathon together. We’ve kneaded bread, made pizza dough, cake batter, cookie dough by the bowlful and every time I received consistent quality and good service. I love my mixer so much it was my choice for a wedding present to give my son and his bride, who didn’t know how to cook (at all). I wanted to give them the best start at marital bliss in the kitchen. So today when I heard a funny grinding noise coming from the motor as it kneaded bread my heart sank. I admit that I have pondered in the last year or so about how much longer she would last (note I think of her as being female – faithful and dependable) knowing that she was a child of the ’80s. I dreaded the thought of replacing her. My mind pondered what changes they might have made to the design and settings that I was so used to with a little fear. We were old friends, the KitchenAid and I. I admit there is a real inconsistency in the fact that on one hand I love new technology but I can also find myself resistant to change in things like a stand mixer. I know that I will buy KitchenAid again but I really would like to have the very same mixer with no changes. After all how can you improve on the perfect product? But I’m sure there have been advancements, and wonderful new attachments and I will have to move on. So after I finish my baking, I will be surfing the KitchenAid website looking for a new love (sort of “appliance Eharmony”) hoping to hook up with a new companion for another 25+ year relationship. I’ll let you know what I end up deciding on in the future but for now, I’d like to share one of my favorite recipes from the book that came with my mixer – White Bread. This makes a very consistent, tasty product so give it a try. 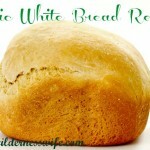 The Best White Bread Recipe Ever! I’ve been baking for a lot of years but without a doubt the best bread recipe I have ever found was this one from the cookbook that came with my KitchenAid Mixer so many years ago. The pages of this cookbook are soiled with stains from different ingredients and the pages are getting a little tattered but I will not give it up. I often scan EBay in search of it trying to find a back-up copy. The recipes in it are easy and they always come out right. I have often heard that cooking can be random but that baking is an exact science. Granted that precisely measured ingredients and carefully followed instructions are important but these recipes in this cookbook are so good and so fundamental that it is pretty hard to screw them up. I love this recipe and we must have a loaf count in the 1000’s by now. I have never had a failure. This recipe always turns out the same with consistent texture and crumb. When the smell of yeast bread permeates the Thompson house everyone waits with anticipation. They should make a scented candle called Baking Bread! Thank God the recipe makes 2 loaves because one barely has the chance to cool down before it is devoured. Try this recipe, you’ll love it! 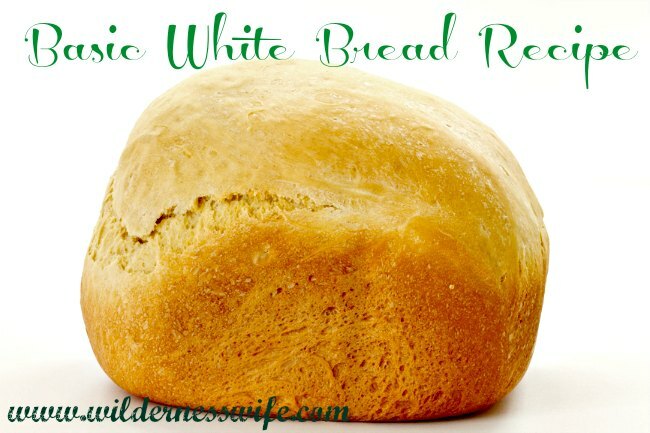 We have more homemade bread recipes here at The Wilderness Wife Blog so click here to visit our collection of yeast bread recipes. 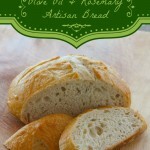 With this recipe I have baked so many loaves of bread over 27 years and all had great texture and taste. I never had a failure with this recipe! Combine milk, sugar, salt, and butter in small sauce pan. Heat over low heat and stir until butter melts and sugar dissolves. Cool to lukewarm (less than 110 degrees F). If using active dry yeast, dissolve yeast in warm water in a warmed mixer bowl and let stand for 10 minutes. Add lukewarm milk mixture and yeast/water mixture to 4 1/2cups of flour. Attach dough hook and turn speed to 2 and mix 1 minute. Continue on Speed2, adding 1/2 cup flour at a time until dough clings to hook and cleans the side of the bowl. Knead on Speed 2 for 2 minutes longer or until the dough is smooth and elastic.Dough will be slightly sticky to the touch. Place in a greased bowl, turning the dough to grease the top. Cover, and let rise in a warm place free of drafts, until it doubles in size (about 1 hour). Shape each half into a loaf and place in greased 8 1/2 x 4 1/2 x 2 1/2 loaf pans. Want to try this recipe in the morning. Have been trying to make bread for the last couple of weeks with my Kitchen Aid mixer with different recipes and I believe I am figuring it out. My question is about the is size of the pans using your recipe, I can buy 9 X 5 inch pans everywhere and I found and got some 8 X 4 inch pans on Amazon but I do not have 8 1/2 X 4 1/2 in pans. Do I use the bigger pans and let the dough rise a little longer or use the smaller and let rise a little less??? What will that get me for bread texture? Either size pan will work. The only difference will be the size of the bread slice. Experiment using both size pans but don’t alter rise times. The rising of the bread is more about texture and crumb, not abut size of loaf. There are no “rules” that say a bread slice must be a specific size, so its about what works for you and what you are going to use it for. Can I make 1/2 recipe for 1 loaf? Yes just measure carefully. You can freeze a second loaf also. yes, I often use instant yeast. Thanks for the idea. I’ll be doing a brown bread recipe soon. My grandmother used to make Brown Bread to go with Beans and Franks on Saturday night. Old school New England fare. I made this read, it was very tasty but it was so crumbly that you couldn’t make a sandwich out of it. What did I do wrong? There are a lot of things that can effect baked bread – altitude, different ingredients, timing of kneading and rising so its hard to say exactly what made your bread more crumbly. Baking involves a lot of experimentation and just when you think you have it figured out the season changes and things will come out different. There are a few things you can try. Make sure the water that you dissolve yeast in is not too hot. Too hot can kill the yeast and the bread won’t rise as well. Lengthen the time of kneading a little. A that is well-kneaded should be very elastic and able to be stretched to a thin film without breaking. Let it rise a little longer. add a little less flour. Bread that is too dense is made with too much flour. The amount of flour that a dough needs is dependent as much on humidity, the particulars and age of the flour, things like that. Experiment a little with these ideas but don’t try them all at once. Make one change in each baking session so you will know when you have the right combination. You will never get a loaf as soft as Wonder bread when home baking but you can produce a lighter loaf. Good luck and let me know how you progress. Thank you for the excellent recipe! Also, I was just wondering: any idea how this would turn out using bread flour? I doubt there will be a significant difference. The difference between all purpose and bread flour is that bread flour has a higher protein content. The higher protein content adds strength to the dough and the loaf will most likely rise a little taller and hold its shape better. Because of the higher protein content, the bread dough may need a little more liquid. All in all, the two types of flour can be interchanged without any problem. Just a note it may just be how it came up on my browser but the recipe stated 2 1/4oz of yeast. After checking some other recipes I believe it should be 2 packets of yeast each being a 1/4 oz??? Tell me if I am wrong here? It should read 2 – 1/4 oz. yeast packets – Thank you for your input so I could clarify it. I am glad you were inspired. There is nothing like that warm yeast smell of bread baking in the oven! I am making this bread for the first time today. Its in the bowl rising now, will let you know!!! ? ? ? Instead of making two loaves, can this be done into individual rolls?? I just got my kitchen aid and this will be the first thing I make with it!! Certainly, just shorten the final time – 20 minutes at 375F. The first rise of the dough can be done in bulk but for the second rise you will want to divide the dough into the size you will want for dinner rolls. Remember that the dough will double in bulk during the rise and that will be the final size of your roll. Wow….27 years is very impressive! 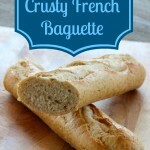 I love the recipe too because there’s nothing better than freshly baked bread! Thanks so much for linking up with Share The Wealth Sunday! we so love bread here! this is the perfect recipe and a great story to share 🙂 thanks for linking with us at Snickerdoodle! A classic recipe that we should all know. Thanks for sharing it on foodie Friday. PInned. Good to see you. I bought a stand mixer a year and a half ago. I’ll have to try this! Thanks for the great recipe and for linking it up to Tasty Tuesdays at Creative K Kids. I pinned it to the Tasty Tuesdays Pinterest Board. I love my Kitchenaid Stand Mixer. Here it is June and although she started making noises in March, I am still using her. It has been such a dependable good friend. Some people groan at the price and think that a high quality KitchenAid Stand Mixer is too expensive for their budget. I consider it an investment – I calculated the price I paid divided by the time I have had my mixer and it comes out to 3 cents a day. It’s one of the best investments I have made. I know I have to get a new mixer. I bake a lot and don’t want to be stranded without one. Before fall I will have to make the transition because the fall and holiday baking season will be upon us, and it’s an incredibly busy time for me (and my KitchenAid)! I would love to have a Kitchenaid. Thanks for sharing. Hello from Flaunt it Friday! Trust me, take the leap and get one! You will not be disappointed! My KitchenAid is the best appliance investment I ever made and it can do so many things. Don’t settle for any other brand, get a Kitchenaid. I calculated that it cost me 3 cents a day if spread out the purchase price over all the years I’ve had it. Here it is July and although it started making noises in March it’s still running. This sounds like a great recipe for bread. I will have to try it soon! Many times simple is the best! 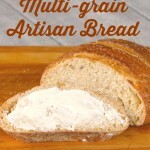 You don’t have to get all fancy to make a decent loaf of bread! I have loved the simplicity of this recipe for years, and the consistent quality end product! My KitchenAid mixer and I have turned out a lot of loaves over the years, and they are always reliably delicious! Thanks so much for sharing your recipe at the Say G’day Saturday Linky party! I just pinned this and shared on G+. Hope you can join us again this weekend! I like to make bread from time to time and I will try your recipe because it looks so delicious on your picture. I don’t have a mixer I can use for making bread, but I guess your recipe will also work if fully done by hands. Thank you for the recipe. I love their sweet bread recipe. Timeless. The bread looks delicious! I LOVE my KitchenAid Stand Mixer, as well. I managed to break mine after only three years. (It was cheaper to have it repaired than to buy a new one.) This recipe looks easy, I’ve been looking for a good bread recipe so I’ll have to check it out. I love homemade bread!! I’m going to have to try this 🙂 Thanks for sharing. Happy Spring!! Love the bread! Looks delicious.